"Can iTunes play flac files? Can it do so natively or be modified to do so? Can it import .flac files, converting them to .mp3 or .mp4 or .aac or something? Thanks." – By Jeff Blanding on Apple Support Communities. Designed specifically for audio, audio compressed in FLAC has no loss in quality. Due to the high definition compression, FLAC files deliver excellent audio enjoyment. You could play FLAC file free on your favorite media player. However, currently not so many media players could natively play FLAC file free. If you’re also searching for a free FLAC player to play FLAC file free on your computer or mobile devices, this post would be right where you should stop. It introduces you detailed information on FLAC, including: what is FLAC file, how to play FLAC file free, and 5 best free FLAC playe software apps. What is FLAC file? Short for Free Lossless Audio Codec, FLAC is an audio compression format like MP3. Different from MP3, which uses a "lossy" compression that will discard audio information, FLAC uses a lossless compression, which will not change audio quality after compression. 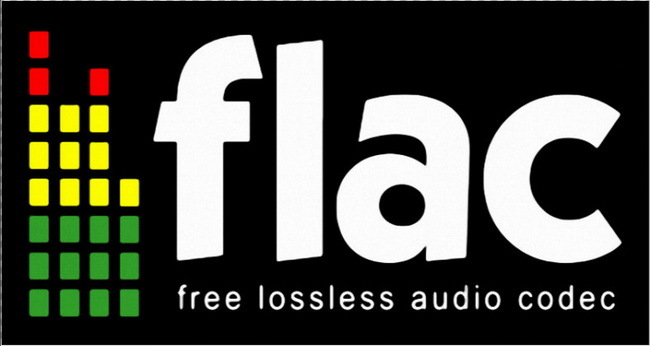 FLAC stands out as the fastest and most widely supported lossless audio codec, and is the only one that at once is non-proprietary and unencumbered by patents. It has an open-source reference implementation, a well documented format and API, and several other independent implementations. If you rip an Audio CD track to an FLAC file, the result FLAC file will retain the same audio quality of the original (CD quality), like a WAV file, but take less space (usually about one third of the corresponding WAV file). If you rip an Audio CD to to an MP3 file, the MP3 file would take even less space (about one tenth of the corresponding Wav file). However, the result MP3 file would be lossy audio file in which part of sound information would be lost. For average people, lossy compression algorithms like MP3 or WMA have no difference from FLAC file. But for some people whose ears are well trained or sensible enough, FLAC lossless compression brings obviously high quality audio enjoyment. Currently there are 2 major ways to get FLAC files: buy it from online music stores, or rip audio CD to FLAC file (or convert other audios like MP3 to FLAC file). You could also try to download FLAC files online, which is hard legally. It should be noted that FLAC is currently not accepted by most media players. Microsoft and Apple have not added the support to play FLAC file free within their system’s default media player. Therefore, if you want to free play FLAC file, you may turn to some FLAC player freeware. The below content would show you how to free play FLAC file with free FLAC player software. There are multiple solutions to help you play FLAC file free on computer. In this post, we would like to share 3 major ways: free play FLAC files with free FLAC player, play FLAC file free in Windows Media Player with codec pack, and convert FLAC file to other audio formats for free playback. The below 3 solutions introduces you details. To play FLAC file free on Windows PC, the best way is without doubt making use of free FLAC player software. What you need to do is find a proper free FLAC player. Leawo Free Blu-ray Player becomes your best choice. As an all-inclusive media player, Leawo Free Blu-ray Player works far more than a single region free Blu-ray player to play Blu-ray discs as its name suggested. It could also perform as a free audio player. When acting as free FLAC player, Leawo Free Blu-ray Player could play FLAC files free without any loss of audio quality. With advanced audio decoding technologies like Dolby, DTS, AAC, TrueHD, DTS-HD, etc., this free FLAC player delivers cinema-like audio enjoyment to you through home theatre system. Download this free FLAC player and set it up on your computer. It has both Windows and Mac versions. Select one according to your system and download. Launch this free FLAC player and directly add your FLAC file into this FLAC player freeware for playback via drag-and-drop. You could also click the "Open File" button to browse and add FLAC file. You could add multiple FLAC files into this free FLAC player for playback. 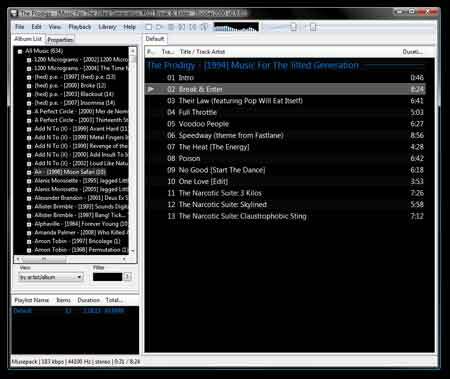 This FLAC player freeware would create a playlist for you. You could determine the playback order and mode. If you prefer Windows Media Player to 3rd-party free FLAC player software, you could also play FLAC file free with Windows Media Player by using a codec pack – Directshow filter. Directshow filter is a plug-in to Windows Media Player that assists Windows Media Player to read FLAC files so as to let you play FLAC file in Windows Media Player freely. It is a lightweight collection of filters which allows you to play the most popular multimedia formats. After downloading, install this DirectShow filter pack via double-click on the installation wizard. After installing, you will receive a notice from the installation saying it’s completed. Then you could launch your Windows Media Player to import FLAC files for playback. Your Windows Media Player would be able to read and play FLAC file free now. This method might cost you more time since you have to convert FLAC to MP3 or other audio formats before you could play FLAC file free on your players. You need to get an audio converter to carry out FLV audio conversion. Take a try of Leawo Video Converter, an professional audio converter that could convert FLAC to MP3, AAC, WMA, etc. fast and easily. Download and install this FLAC audio converter. Launch it and click the "Add Video" button to load source FLAC audio files. Click the drop-down box next to the "Add Photo" button and then select "Change" option to set output audio format. You could select any audio format from "Format > Common Audio" group, like MP3, AAC, etc. After setting output audio format, return tothe main interface and then click the big green "Convert" button. On the popup sidebar, set output directory in the "Save to" box. Finally, click the bottom "Convert" button on the sidebar to start converting FLAC audio files to other formats. After conversion is finished, you could then freely play converted FLAC files on your media player free. Without doubt, playing FLAC file free with free FLAC player is the easiest way. It’s not that safe to install plug-ins for Windows Media Player to play FLAC files, but you needn’t install 3rd-party FLAC player freeware. The last solution seems to be more trouble, and will definitely result in audio quality loss by converting. But it is much more pratical, since you could play FLAC files free on any media player through this method. As an all-inclusive media player combo, Leawo Free Blu-ray Player features region free Blu-ray player, free DVD player, free 4K video palyer, free audio player and free ISO player. With the support of several different advanced audio decoding technologies like Dolby, DTS, AAC, TrueHD, DTS-HD, etc., this free FLAC player could play FLAC files free without any quality loss. Meanwhile, you could even use this free FLAC player to play Blu-ray disc, DVD disc, up to 4K UHD video, and ISO image files directly for totally free. This free FLAC player could play FLAC files free on Windows 8/8.1/7/10/XP/Vista. Its Mac version free FLAC player for Mac works on OS X 10.6 and later. This is a widely known free FLAC player software program that offers both wonderful quality and wide support of operating systems. It has multi-OS versions for Microsoft Windows, Mac OS X, iOS, Android, GNU, Linux, BeOS, and BSD. This means that you could even get a portable free FLAC player for your smartphones or tablets. 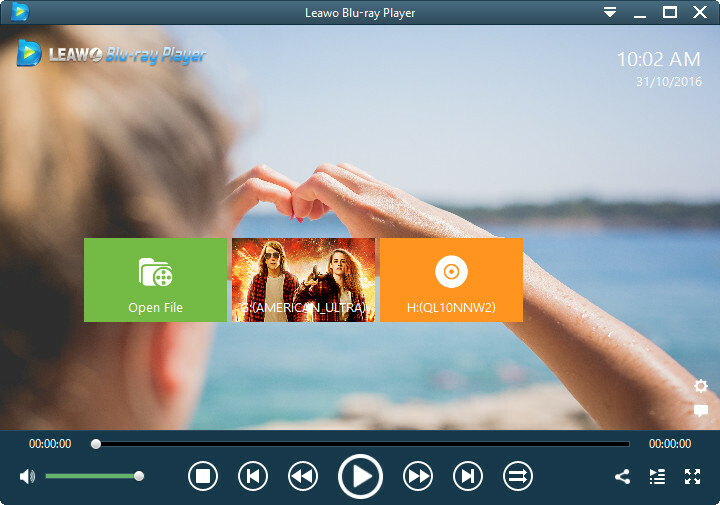 Similar to Leawo Free Blu-ray Player, this free FLAC player could play DVD, up to 4K/1080P video, ISO file and audio files, but lacks support of Blu-ray playback. One of the most sought after FLAC players for Windows, Foobar2000 could be chosen over most others as it promises gapless playback for most of the common formats such as MP3, AAC, Vorbism, WavPack, WMA, MP4 and SND. It boasts of full Unicode support and tags along an interface layout that can easily be customized. Moreover, the tool lets you configure keyboard shortcuts, offers full ReplayGain support and even transcodes audio formats, thanks to its Converter component. Zoom Player is a slick player of online multimedia content for Windows PCs. It successfully includes two players in one – a no fuss simple one and an advanced one with just about every imaginable tweaking and customization option. The basic version of Zoom Player comes installed with a graphic equalizer, playlist editor and everything else that you’d expect in a basic player. The professional version comes with more features, including a more powerful Playlist Manager, added safety features (such as password protection), Media Definitions plus Web Remote (so you can control Zoom Player from your web browser) and an Extended command line interface, exposing many Zoom Player functions directly from the command line. What’s more, the professional version even supports to play DRM protected movies and music (Windows Media DRM). It could play back almost all video and audio files, since it has a particular useful codec detector, which will detect your players and suggest correct codec to install for playing different media files. Therefore you needn’t to install a 3rd-party inspection device. 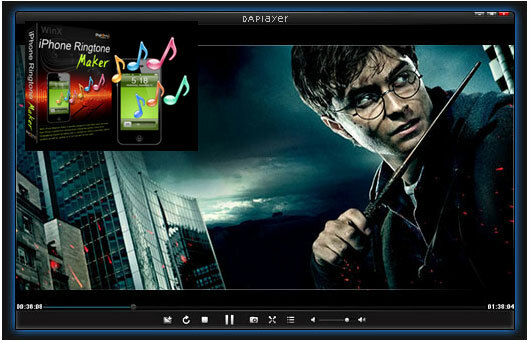 Once named as DAPlayer, 5KPlayer is a sleek, powerful and free media player that works with hundreds of formats, including high definition video. 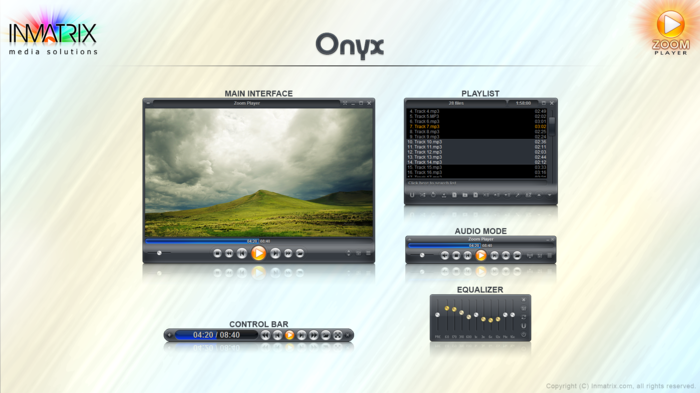 This free video player comes with more than 400 audio and video codecs. That means you could play nearly all video and audio files with no need to worry about the format incompatibility issue. It could also play Blu-ray and DVD discs, up to 1080P full HD video (AVCHD, MKV, H264 and more). As a free FLAC player, it could play FLAC file free without any quality loss.